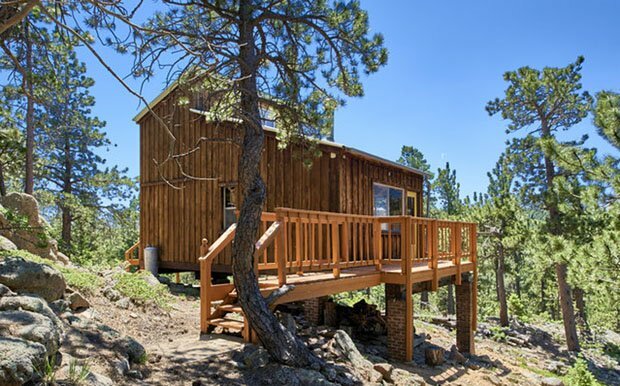 A Perfect Retreat to Get Away from it All . . .
Wouldn’t it be nice to have a second home –a sort of sanctuary– to escape to when you need solitude and peace of mind? Somewhere you could be close to nature, with a breathtaking landscape to rekindle your spirit? With all the complications and challenges of modern living, you may sometimes long for simple things, simple pleasures, a back-to-nature kind of experience. 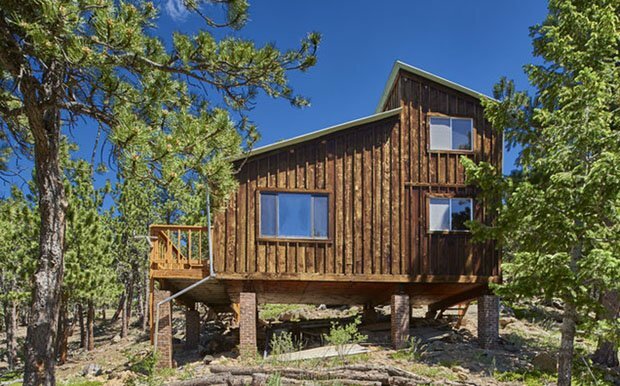 This mountain cabin is perfect for all that, plus a panoramic view of the mountains and the sky, ideal for nature tripping and stress-free vacation. 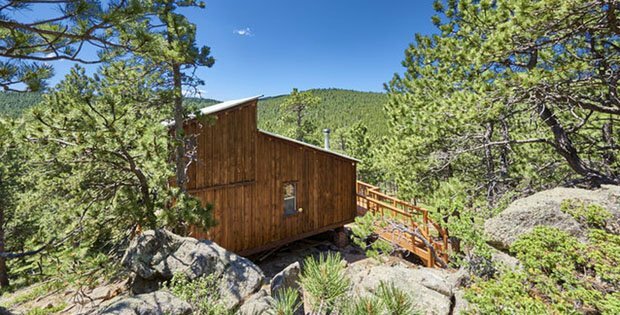 If you love this mountain cabin, you can have it for $175,000. 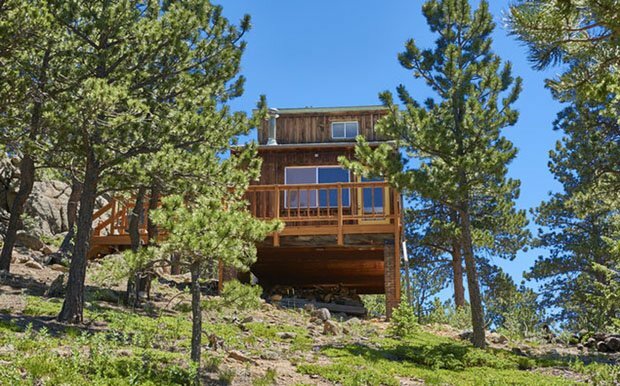 The address is 95 Bigbee Road, Ward, Boulder County, Colorado. The floor area is 585 square feet on a lot that is about 2 acres. Do take a look at these photos and tell us what you think on our Facebook Page! 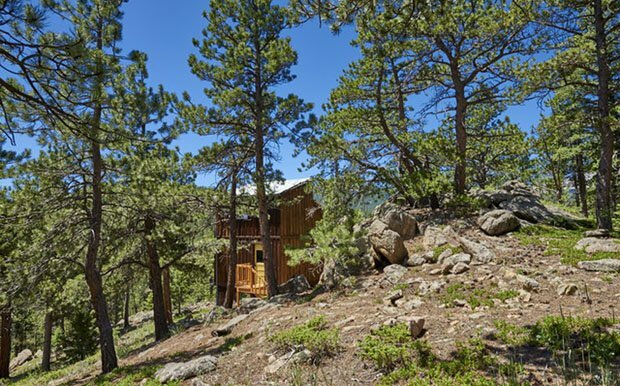 Though many tiny living enthusiasts subscribe to the notion that less is more, most tiny houses come equipped with modern conveniences like electricity, flushing toilets, and running water–albeit on a much smaller scale. But this tiny-ish house . . . is completely off-grid: no well, no septic, no electricity. Nada. 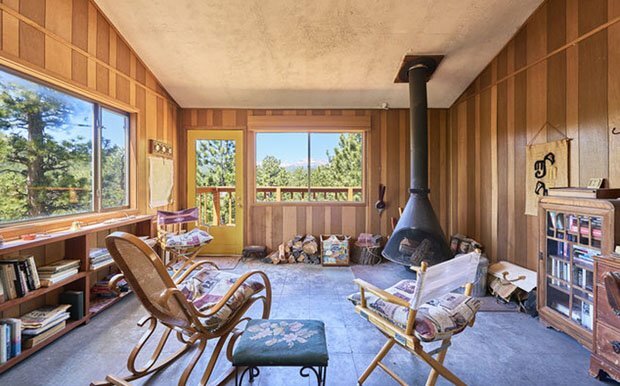 But what this rustic cabin lacks in amenities, it more than makes up for in its location, charm, and the very real opportunity to live a simple, pared down life.